It was a toss-up as to who was the most impressive: our former governor who wowed fourth graders with little known historical facts about Mississippi, or the fourth graders who peppered him with questions until teacher Sandra Triplett called for the last question due to time constraints. 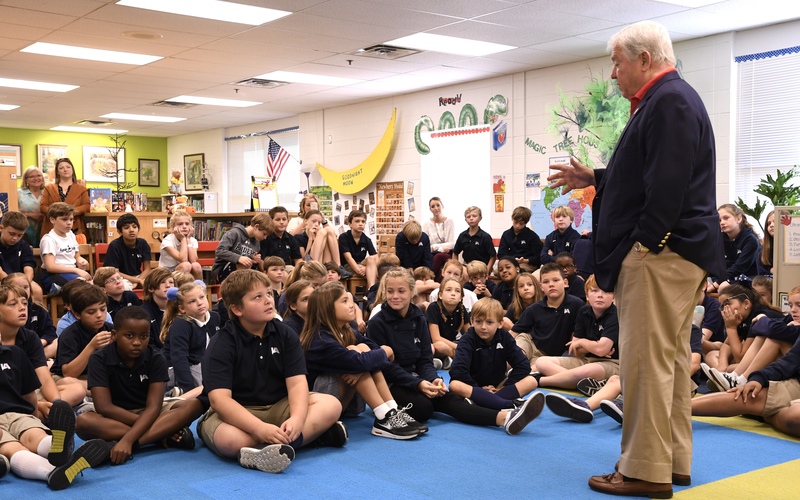 Fourth grade classes thoroughly enjoyed their time with former Mississippi Governor Haley Barbour as he described what it was like to be a governor, information about the inhabitants of Mississippi before statehood, and how Mississippi will become the first state to build a state-funded Civil Rights Museum. Governor Barbour encouraged the students, who demonstrated a keen interest in the subjects presented, to not lose their interest in politics. He also urged students to take responsibility for themselves, their families, and their communities. 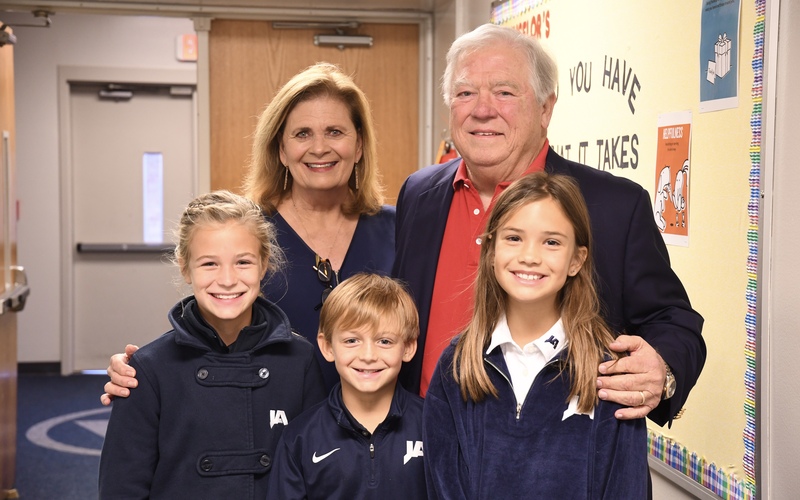 Governor Barbour was joined by his wife, Marsha, and greeted warmly by fourth graders, and especially his grandchildren Ava, Haley, and Ebbie.